SEO Link Cleaning ensures that toxic and harmful links pointing to your website are identified and cleaned via the Google Disavow process. SEO Campaigns succeed via a healthy and growing quality link profile. 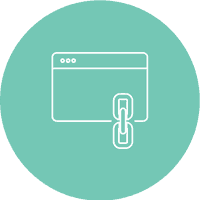 Our link audit and clean up is offered as either a one off fixed fee service, but is most effective when undertaken by TopRankings as part of a long term comprehensive SEO Management Campaign. Many of our clients have experienced significant improvements in their online presence often within only three months of commencing our link detox process. It is Black and White to us. A number of TopRankings SEO Melbourne clients have used different SEO Agencies in the past, that have falsely chased quantity over quality links, as a strategy to build an online presence. Realising that these older techniques were no longer effective left our clients wondering whether to start a new website from scratch, or if there was an alternative option. 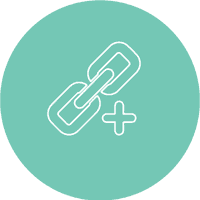 Our link cleaning process commences with an in depth review of your current link building profile. 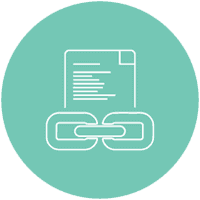 The nature of links your website may have acquired in the past may be wide and varied, from low quality links that provide you no real tangible value, through to links that are in fact known as toxic links that are harmful to your SEO efforts. With access to your Google Analytics our team can identify if any Google Penalties have been incurred. Following the process of the Link Audit, our team embark on a link clean up process. This entails approaching the linked websites and kindly asking them to remove the corresponding link between the two website. An extra measure beyond embarking on the outreach of requests is to complete Google’s Disavow process, by also demonstrating the efforts undertaken to remove toxic links and therefore be reconsidered to be indexed positively. A key success factor of SEO Melbourne Campaign Management, especially in highly competitive industries is the ability to conduct a period analysis of your industry competitors that are strongly ranked, and identifying the list of high quality links they have acquired and weighing up which of these links are worth pursuing. Some links may not be a large investment of time and effort to successfully acquire while others may be so if they relate to high authority websites. Successful SEO Melbourne campaigns rest on the SEO Agency continuing to monitor your competitors and their link building efforts, but also revisiting links built up for your campaign, to determine if any links historically acquired, dropped off, or even worse be deemed toxic by Google. In the endeavour of catching up in the overall domain authority of your website, link building, while time consuming forms part of an ongoing successful SEO Campaign against your competitors. 1. Links have been acquired from sneaky sources, that have been built with manipulative intention. 5. A website experiences a massive organic drop on the day of a Google Penguin Update. 6. When Google applies a penalty, they expect you to cease applying poor and clearly questionable SEO practice and immediately commence remedial action. IDENTIFY: Identify any damaging backlinks and links that offer no value to your website. MANAGE: Manage the time-consuming process of contacting webmasters and requesting link removal. DISAVOW: Take care of Google’s disavow process which, if done incorrectly, can harm your site’s performance in Google’s search results.